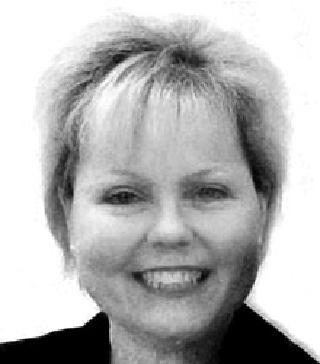 Jennifer Lynn Oswald, 45 years old, died in her home on Monday, July 18, 2016. Jennifer was born to Joan Wittenmyer Oswald and Charles Oswald. She was diagnosed with diabetes at age 7 and began her lifelong battle with health issues leading to a pancreas and kidney transplant. She was happiest in a rocking chair with a baby in her arms. Her tenacity and will to survive is a testament to her unconditional love for her son, Tyler. She fought for each day because she knew her job as a mom depended on it. Jennifer was greeted into the arms of her mother, Joan and her daughter, Precious. She is survived by her son, Tyler Wittel and his father, Bob; siblings, Theresa (Don) Ahrens, Julie (John) Abbey, Chuck (Deborah) Oswald, Bonnie Oswald, John (Nadia) Oswald; grandmother, Thelma Cyigon; nieces and nephews, Sarah, Kaitlan, Bailey, Jessica, Jack and Sophia. In lieu of flowers, please consider donating to JDRF, the Juvenile Diabetes Research Foundation. 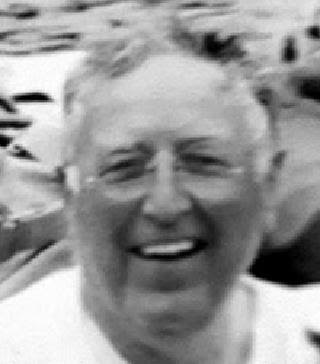 Robert P. Sitzenstock, 86, passed away July 8, 2016. He was born August 6, 1929 in Toledo to the late Irene (Kiebler) and Herbert Sitzenstock. Bob and his family farmed most of the area covering Byrne to River Road to S. Detroit and the Trail finding most of his extensive arrowhead collection. Bob and his brother worked landscaping for most of south Toledo including The Toledo Country Club and Lucas County Children’s Home on River Road. He attended University of Toledo, graduated from The Ohio State University, with a varsity letter in lacrosse, mastered in Architecture at MIT and obtained several professional associate degrees from Harvard University. Bob was a Captain in the Air Force for 8 years and was stationed mainly in Europe. Bob worked for SOM, of Chicago, to start an architectural career before moving back to Toledo. He worked for a few firms before settling in at Rossi, Nickerson McQuerry and Sitzenstock before opening his own firm Sitzenstock Associates in 1984. He semi-retired 2 years ago. Some of his accomplishments included Masonic Auditorium complex and Stranahan Theater, St. Joan of Arc Church, St. John’s The Baptist, much of MCO, the Air Force academy chapel in Colorado Springs, much of Ownes Technical College as well as Master Planning and many building for University of Toledo. Bob’s favorite pasttimes were spending time with his family, building and running his model trains, his Ohio State Buckeyes, and wooden boats, which he restored one for each of his children! In addition to his parents, Bob was preceded in death by his eldest son, Robert E., and his brother, George H. Left to cherish his memory are his wife of 54 years, Sara “Sally”; his brother, David J. (Paulette), Washington; daughters, Gigi, Heidi, Synda (Gary Heikkinen), Kentucky, Stephanie (Mike Sindel), Defiance, OH; son, George W. “Dude”; nephew, Christopher (Anne), Washington; niece, Melissa, Washington; grandson, Christopher; granddaughter, Pauliann “Peanut”; and great-nephews, Noah and Ari. There will be a private family service held at his residence along the Maumee riverbank to celebrate his life. He had requested any memorial donations be made in his name to OSU athletics association or to the First Presbyterian Church of Maumee.